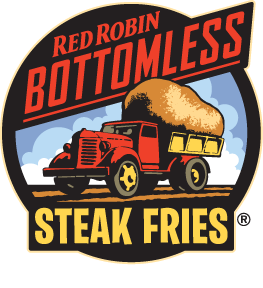 Shhh... don’t give it away, but here’s the secret to our Bottomless Steak Fries®: It all starts with big, perfect potatoes. We only accept the highest-quality premium potatoes from the finest growing regions with the best soil in North America. The result? Steak Fries that are crispy and golden on the outside, and, like a freshly baked potato, tender and full of flavor on the inside. Big fries with big flavor. 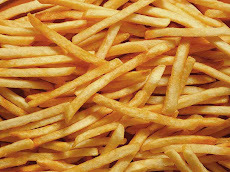 One more thing: Our perfectly seasoned Steak Fries are always cholesterol free and cooked in zero trans fat oil. Oh, and they’re bottomless, so dig in. Bottom-of-the-fry-basket anxiety does not exist here. That’s our Honest to Goodness® promise to you.